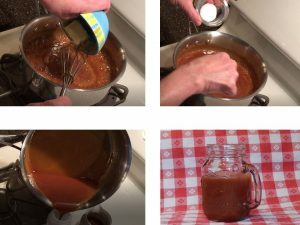 Salted Caramel Sauce is easy to make. 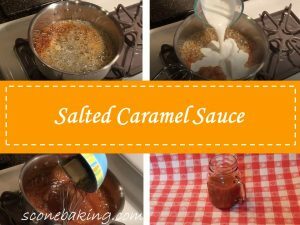 One secret to making caramel sauce is not stirring the boiling syrup until after you add the cream. 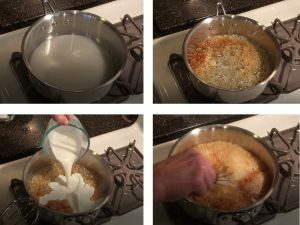 Use a medium pot, at least 2-1/2 quarts, because when you add the cream, it will boil up. Stir in the butter and kosher salt. Transfer the caramel to a squeeze bottle, cool. The sauce will keep in the refrigerator for about 2 weeks.